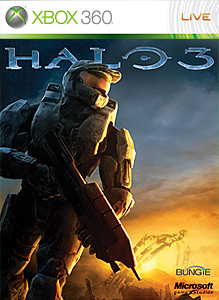 The New Halo 3 maps finally arrives for everyone to enjoy. This map pack includes 3 new maps that vary in gameplay experience. Expect people to create some crazy things with Sandbox. "Investigate Orbital’s abandoned hallways - before it was evacuated, the Quito Space Tether was heralded as the “Civil Engineering Monument of the Millennium.” Witness Assembly, where Scarab hulls loom overhead, being decontaminated in preparation for the city-sized Lekgolo colonies that will breathe life into the massive metal husks. An excavation site surrounded by deadly Forerunner defenses, the mysteries of Sandbox are hidden high above, deep below, and right before your eyes." The Mythic Map Pack will cost 800 Microsoft Points ($10.00) and will take up 328 MB of Space.